Here are the two biggest tomatoes so far this season. The yellow one on the left is 1 lb 11 oz Gold Medal and the red one on the far right is a 1 lb 10 oz Big Zac. 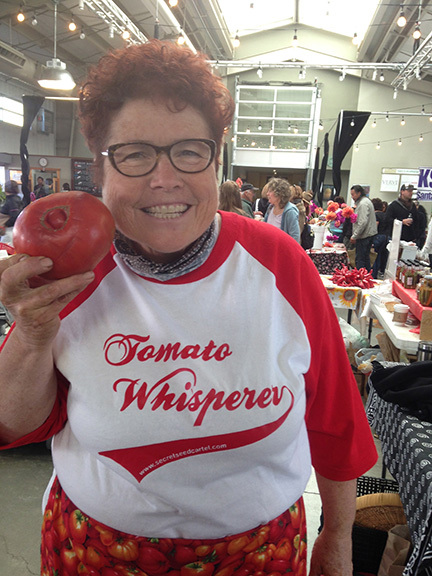 I got second place at the State Fair with a little smaller Big Zac tomato but if I had found this Gold Medal I would have had first. It’s ok though as I took 5 first places, 1 second place and 1 third place at the State Fair. Can’t be too greedy. 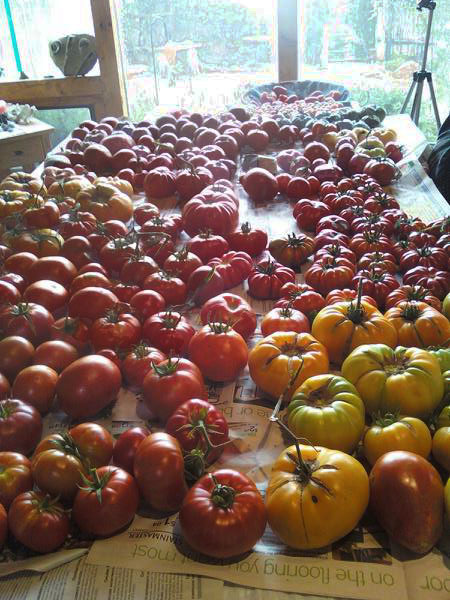 This entry was posted in 'THE TOMATO LADY', general, GIANT TOMATOES, TOMATOES and tagged Big Zac tomato, giant tomatoes, Gold Medal tomato, growing giant tomatoes, organic vegetable gardening, tomatoes-tag, vegetable gardening. ← My bee hive looks good going into fall! Great Jannine! Had to move my one plant to have our driveway replaced, but it was doing great in a pot by our bedroom window. Will try more in that spot next year. Except for the hail it has been the best spot in our yard so far. Without the giant Siberian Elm it might even be better. Congratulations. I don’t think I have ever had so much luck with tomatoes here in Tucson.